C. E. Vidales, "How To Calibrate Touch Screens," Embedded.com, May 31, 2002. 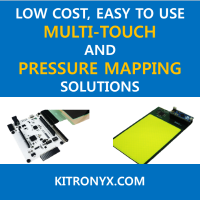 Touch screens are finding their way into a variety of embedded products. Most touch-enabled devices will require a calibration routine. Here's a good one. This article describes in-depth knowledge of calibrating resistive touch screens - mathematically well organized.